Which of these “lovely” book(s) would you read first? Among Others ~ by Jo Walton; paperback edition; Tor Books; January 2012. In Wales, Morwenna played among the spirits who made their homes in industrial ruins. But her mind found freedom in the science fiction novels that were her closest companions. Sent to boarding school in England, she tempted fate by doing magic herself, in an attempt to find a circle of like-minded friends. But her magic also drew the attention of her mother, bringing about a reckoning that could no longer be put off…. 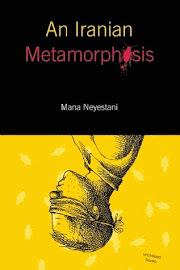 Published in 2011 now in paperback this book has fairies. The Broken Land (Vol 3 of People of the Longhouse and Vol 19 of North America’s Forgotten Past) ~ by Kathleen O’Neal Great and W. Michael Gear; Tor Books; January 2012. Twelve summers after the events of The People of the Longhouse and The Dawn Country, the Iroquois nations remain locked in bitter warfare. Atotarho, the cannibal-sorcerer who leads the People of the Hills, schemes to set into motion a cataclysmic battle that threatens to destroy the Iroquoian world. Tribulations ~ by Ken Shufeldt; Tor Books; January 2012. The world has ended…. The war is only beginning. An asteroid storm has obliterated the Earth. Billy and Linda West have built enough space-going arks to save a small number of people who now roam the void in search of a new home. Desperate to find a safe haven, Billy makes a dangerous attempt to exceed the speed of light. When his plans go terribly wrong, the Wests’ severely-damaged ship is separated from the fleet and left drifting near a mysterious planet. The Last Storyteller: A Novel of Ireland ~ by Frank Delaney; Random House; February 2012. The national mood is downtrodden; poverty, corruption, and an armed rebellion rattle the countryside, and although Ben wants no part of the upstart insurrection along the northern border, he unknowingly falls in with an IRA sympathizer and is compromised into running guns. Yet despite his perilous circumstances, all he can think about is finding his former wife and true love. 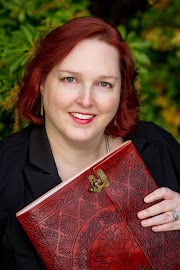 A standalone that is also the third in a trilogy - the first two in the series are Venetia Kelly’s Traveling Show, and The Matchmaker of Kenmare. White Horse ~ by Alex Adams; (ARC); Atria/Emily Bestler Books; April 2012. The first book in a trilogy, it’s a post-apocalyptic thriller. Thirty-year-old Zoe wants to go back to college. That’s why she cleans cages and floors at GeneTech. If she can keep her head down, do her job, and avoid naming the mice she’ll be fine. Her life is calm, maybe even boring, until the end of the world when the President of the United States announces that humans are no longer a viable species. After the Fall, Before the Fall, During the Fall ~ Nancy Kress; (ARC); Tachyon Publications; March 2012. In the year 2035, all that is left of humanity lives in the Shell. After ecological disasters have nearly destroyed the Earth, twenty-six survivors are imprisoned in a sterile enclosure built by an alien race. Fifteen-year-old Pete is one of the six children who were born in the Shell. Though he possesses birth defects common to the Six, including sterility, Pete is resolved to lead humanity to a new beginning. The Infernal Republic ~ by Marshall Moore; Signal 8 Press; February 2012. A lonely demon in a remote corner of Hell oversees a divine but rigged typing contest. A sentient house in San Francisco decides to become vacant once again -by any means necessary. A supernatural first date in Hong Kong goes hysterically, horribly awry. This is a collection of short fiction from Marshall Moore, comprising stories published between 2003 and 2009. Revealing Eden (Save The Pearls – part 1) ~ by Victoria Foyt; Sand Dollar Press Inc; January 2012. Eden Newman must mate before her 18th birthday or she’ll be left outside to die in a burning world. But who will pick up her mate-option when she’s cursed with blond hair, blue-eyes? In a post-apocalyptic world where resistance to the overheated environment defines class and beauty, Eden’s coloring brands her as a weak and ugly. The Darkening Dream ~ by Andy Gavin; Mascherato; January 2012. 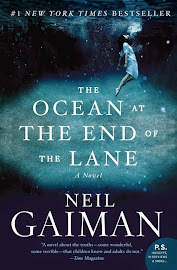 1913, Salem, Massachusetts; Sarah Engelmann’s life is full of friends, books, and avoiding the pressure to choose a husband, until an ominous vision and the haunting call of an otherworldly trumpet shake her. When she stumbles across a corpse, she fears that her vision was a premonition. And when she sees the murdered boy moving through the crowd at an amusement park, Sarah is thrust into a dark battle she does not understand. All There Is ~ by Dave Isay; The Penguin Press; February 2012. A celebration of love from StoryCorps. Founder Dave Isay shares stories of love and marriage from the revolutionary oral history project, revealing the many and remarkable paths that relationships can take. From the excitement and anticipation of courtship to the deep connection of lifelong commitment, we discover that love is found in the most unexpected of places. See my review for All There Is. 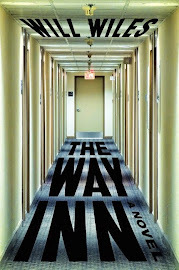 The Way ~ by Kristen Wolf; Crown Publishing Group; July 2011. Anna is a tomboy living in ancient Palestine whose androgynous appearance provokes the people around her and doubt within her heart. When tragedy strikes her family, and Anna's father sells her to a band of shepherds, she is captured by a mystical and secret society of women. At first Anna is tempted to escape, but she soon finds that the sisterhood's teachings and healing abilities, wrapped in an ancient philosophy they call "The Way," have unleashed power within her. You know we “love” to hear which of these new books you would pick up and read. Please do tell: Which would you read first? Among Others was a good book. Switched's cover is gorgeous. I have to read that. But then what am I gonna say! lol.. I enjoyed Among Others so reading your review will be interesting. I hadn't realized Nancy Kress had a new novel out. I've read most of her others so will take a look for this one. love the idea of The Infernal Republic, especially the sentient house. John and I listened to - Beggars in Spain - in audio and both of us liked it. Kress has an amazing imagination, even though the book's reader was a bit monotone. John is picking up this newest one by her. I remember you mentioning - Among Others - and that you enjoyed it. It's sitting on the nightstand now calling my name. I remember you mentioning that you had read many of the same books that the main character had read. So I will be thinking of you when I read it. Yep, I would have chosen - The Infernal Republic - for you. You may like - The Last Story Teller - too. With its fluffy cover, and its writing that's not fluffy at all. It has an interesting male perspective, and is imbedded with myth and legend. I like that. Just finished The Wild Ways by Tanya Huff. First book in the series us Enchantment Emporium. A different way at looking at magic/fae/earth powers, quite enjoyable. Lots of Canadian references that I loved. I enjoyed her sci/fi books as well...Valor series, but didn't really care for her vampire books. There's not too much on Selkies out there. I like that. Seems like your reading loads of speculative fiction again? Nice. Have you read anything by Margaret Atwood? I just devoured two of her books, unusual for me. Yep those two sound like your kind of book. I have a giveaway for - Revealing Eden - coming soon. Did you know that the author of - Switched - was self published and has been picked up by a publisher because of her amazing success? I just love stories like that. Not an Atwood fan. I try but fail to make it through her books. Mixing things up with my mysteries and good tales lately. Ben Aaronovitch has 2 books out featuring British/London urban sorcerers that are quite entertaining. Read an odd one called Broken that is hard to label by Susan Jane Bigelow and will watch for the next in the series and currently on the first of the Coldfire trilogy by CS Freidman who gives fae a totally different meaning. I am listening to these Atwood books in audio, which makes them very accessible. I wrote her off at first too. I am a fan now. 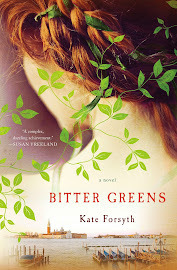 I checked out the Freidman series and there are 5 - five star listings from my "friend's" on goodreads. That is amazing. I have it on my *huge* list there. The problem is epic fantasy... I am not sure I am a big fan. 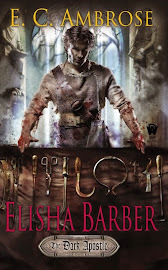 I think I prefer fantasy with a foot in reality, but am not sure I like some of the urban fantasy that is very popular. I have - Broken - on my list too, on Goodreads. Ben Aarnovich... I am not being drawn to him for some reason, but hey... goodness knows later on at your recommendation. I have only just started reading speculative fiction really - so am just an amateur at this. And fairies I am new to them as well. Gads I hated them as a teen. But I am intrigued now. Especially when there is an element of historical in the works. Cheers Elizabeth... for your input.